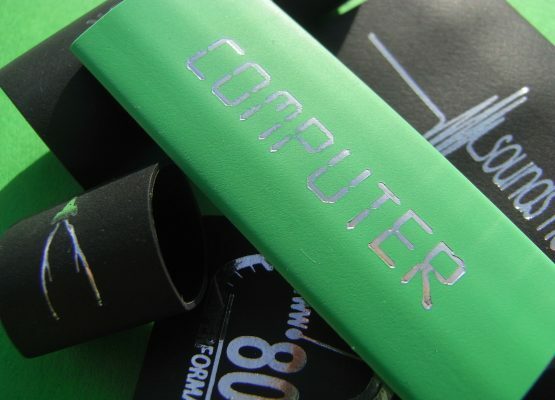 Custom printing whether via hot foil stamping or thermal transfer is a simple & effective way of branding and labelling your cables by custom printing your logo, text, barcodes and any required information onto your choice of sleeving, marker or label. Whether you require low or high volume runs, our team use state-of-the-art printing machines and over 50 years of combined printing experience to provide a superior quality product every time based on your bespoke requirements. 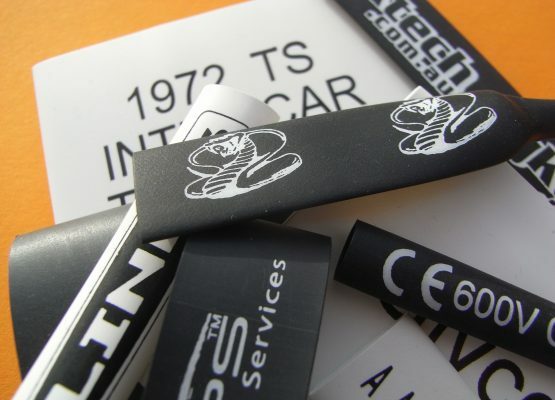 We offer bespoke printed identification, branding and labelling products for quick and easy application. 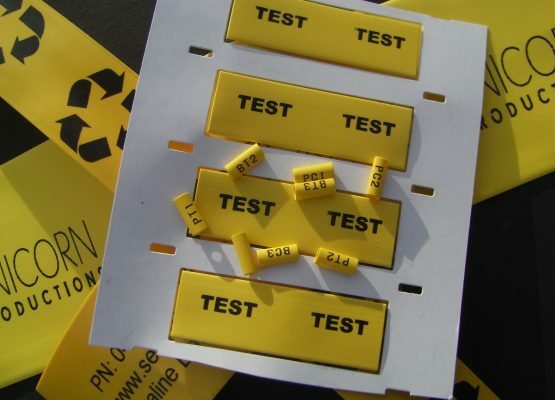 These user-friendly markers can be applied during the manufacturing process or retrofitted and will survive in most environments and where required can withstand extreme temperatures, humidity and exposure to fuels and chemicals. Once contacted, our extremely experienced printing team will happily guide you through the whole experience so that the final product suits your specific application in terms of product suitability and quality. 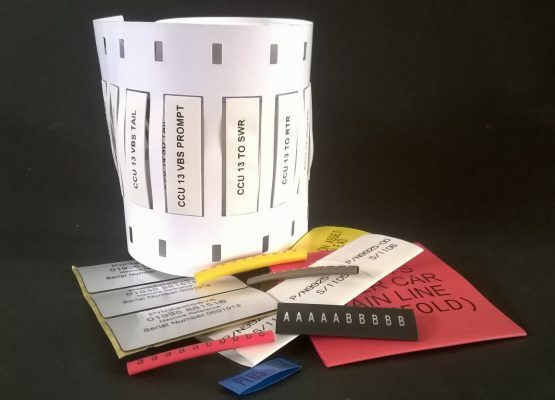 This will involve advising on the correctly sized sleeving, labels or markers which meet required approvals if required, as well as most suitable print process, artwork preparation and resizing via our free artwork service, and producing sample runs as required. We are happy to assist with small or large requirements as well as Call Off Orders and will always ensure deadlines are met. Where there is an urgent requirement, we will endeavour to offer the necessary fast turnaround. Our markers have been used all over the world in a range of industries such as: Automotive, Military, Aerospace, Electronics, Domestic Appliances and many more. We have particular expertise in supplying audio and TV & Film industries. Alongside our two main print processes – hot foil stamping and thermal transfer, we offer a comprehensive cutting service. 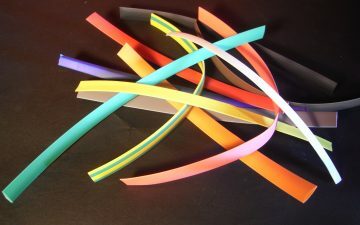 We also work closely with partners expert in other print methods. 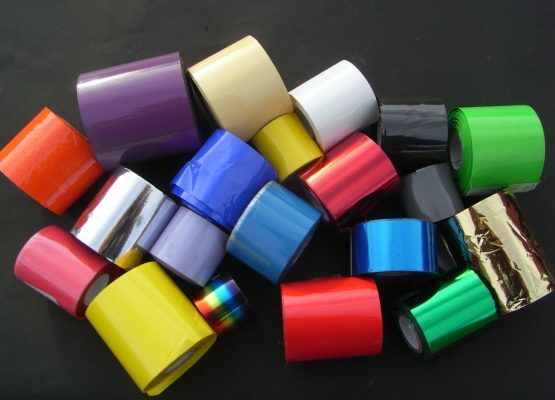 This allow us to confidently advise on virtually any printed sleeve, marker or label requirement so if your particular need is not catered for on the website, please don’t hesitate to contact us directly.